Aamir Khan, who is well known as Mr. Perfectionist of Bollywood, today joined the chorus of intelligentsia against growing 'intolerance' and said that he has been "alarmed" by a number of incidents, and also said that his wife Kiran Rao even suggested that they should probably leave India. While Speaking at the Ramnath Goenka Excellence in Journalism Awards, Aamir said, "As an individual, as part of this country as a citizen, we read in the papers what is happening, we see it on the news and certainly, I have been alarmed. I can't deny. I have been alarmed by a number of incidents." PK actor also felt that since past six or eight months, the sense of insecurity and fear has been growing. Aamir Khan said, "When I chat with Kiran at home, she says, 'Should we move out of India?' That's a disastrous and big statement for Kiran to make. She fears for her child. She fears about what the atmosphere around us will be. She feels scared to open the newspapers every day." Dhoom 3 actor also added that for any society, it is important to have a sense of security and sense of justice. "That does indicate that there is this sense of growing disquiet, there is growing despondency apart from alarm. You feel why this is happening, you feel low. That sense does exist in me." Aamir Khan is receiving a flood of negative tweets from tweeter users and have also received support of Delhi Chief Minister Arvind Kejriwal. Kejriwal said in a tweet, "Every word that Aamir Khan said is so true. I admire him for speaking up." See Also : Aamir Khan's car collides with Two-Wheeler, injuring the rider badly! Speaking on the political will to counter what many eminent writers call "growing intolerance', Aamir said, "People who are our elected representatives, people who we select to look after us for five years, state or centre... when people take law into their hands, we look upon these people to take a strong stance, to make a strong statement, speed up the legal process, when we see that happening there is a sense of security but when we don't see that happening there is a sense of insecurity." 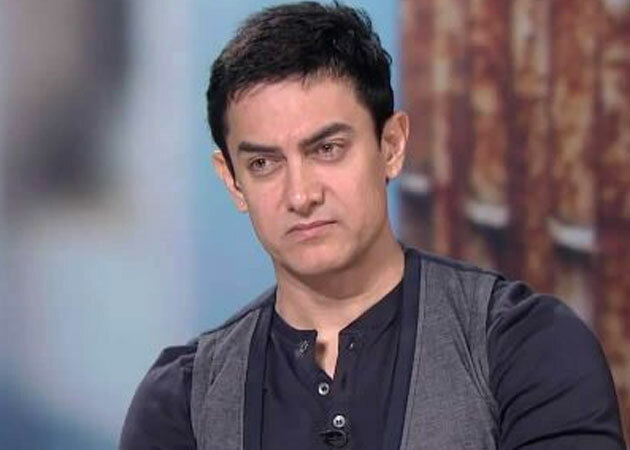 Endorsing the move by scientists, writers and filmmakers to return their awards to register their protest against the atmosphere of growing intolerance, Aamir said for creative people it is important to voice what they feel, adding that the ways for creative people to express their dissatisfaction or disappointment is to return their awards. "A number of creative people -- historians, scientists -- increasingly had a certain feeling in them, which they felt they need to express." When asked whether he endorsed the protests by the people, Aamir said he would as long as it is non-violent as "all individuals have a right to protest and they can protest in any manner that they feel is right as long as they are not taking the law into their hands."